More stripes for Adelaide Zoo's wild family: two Sumatran Tigers! We’re excited to share the news that Adelaide Zoo is expecting some new resident felines – two Sumatran Tigers! Keepers are busy preparing for the arrival of the striped duo, who are only weeks away from making their South Australian debut. 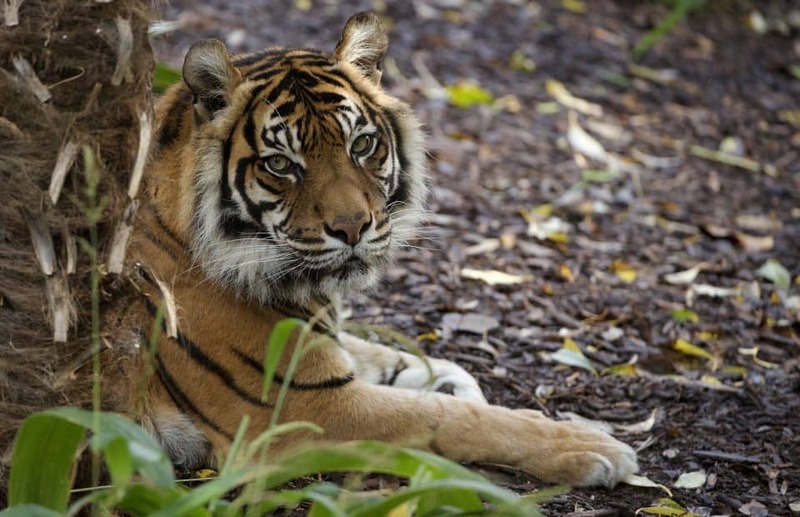 Ten-year-old female tiger Rhani will call Adelaide Zoo home from late March after making the journey from National Zoo and Aquarium in Canberra. She will later be joined by 3-year-old male, Kembali, who is expected to arrive before the end of May from Hamilton Zoo in New Zealand. The two tigers will then spend some time apart while they settle in and get used to their new homes. Once the cats are comfortable in their surroundings, keepers hope to begin introductions between the two for breeding. Zoos SA Chief Executive Elaine Bensted says the pitter-patter of little paws would be a fantastic outcome for conservation. “Given how critically endangered Sumatran Tigers are, successful breeding between our new pair would be incredibly exciting,” Elaine said. With less than 400 Sumatran Tigers believed to be left in the wild, tiger populations are at an all-time low. The iconic species is facing a rapidly decreasing population trend due to habitat destruction for palm oil plantations and poaching for the illegal wildlife trade. As a conservation charity that exists to save species, we’ll work tirelessly to make sure tigers stay a pounce ahead of extinction. The pair will join our resident Sumatran Tiger, 18-year-old Assiqua, who has called Adelaide Zoo home for 11 years. Stay tuned for more details on their arrival!